Welcome to Minimorn; a cosy detached cottage set within the grounds of Ardmorn B&B. 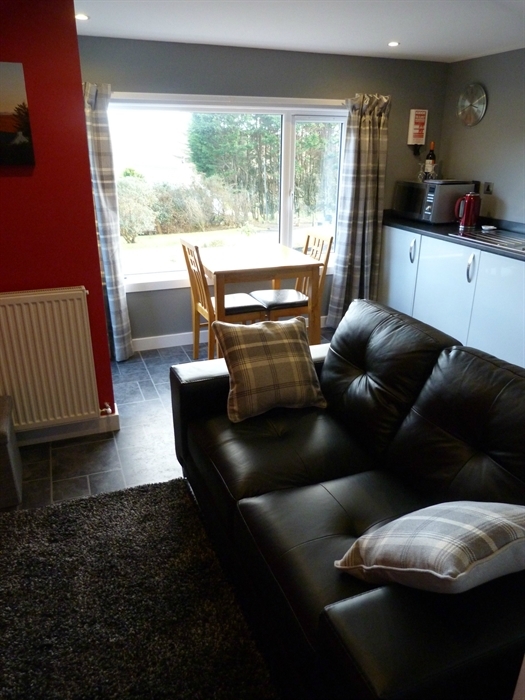 We can offer you peace, tranquillity, open spaces, amazing views and a warm Scottish welcome! Ardmorn and Minimorn are located on the north west corner of Skye, just 3 miles south of Dunvegan in a rural township. Whether it's a tour of Skye's historic sites, a road or sea trip to admire the scenery or an energetic day's hill-walking or rock-climbing, Minimorn provides the perfect base to explore everything the area has to offer, combined with an ideal home and garden to unwind and relax. Sat in the grounds of our bed and breakfast lies our self catering cottage, fondly referred to as 'Minimorn'. Minimorn is a cosy retreat for two and has recently undergone a complete refurbishment. The cottage comprises of a kitchen/dining/sitting room which has a comfortable sofa, lcd tv/dvd, iPod docking station as well as a well-equipped modern kitchen with integrated applicances. A selection of books, maps, guides and DVDs is also provided. The dining table and chairs are well placed at the large window where the view towards the Cullin Ridge is breathtaking. 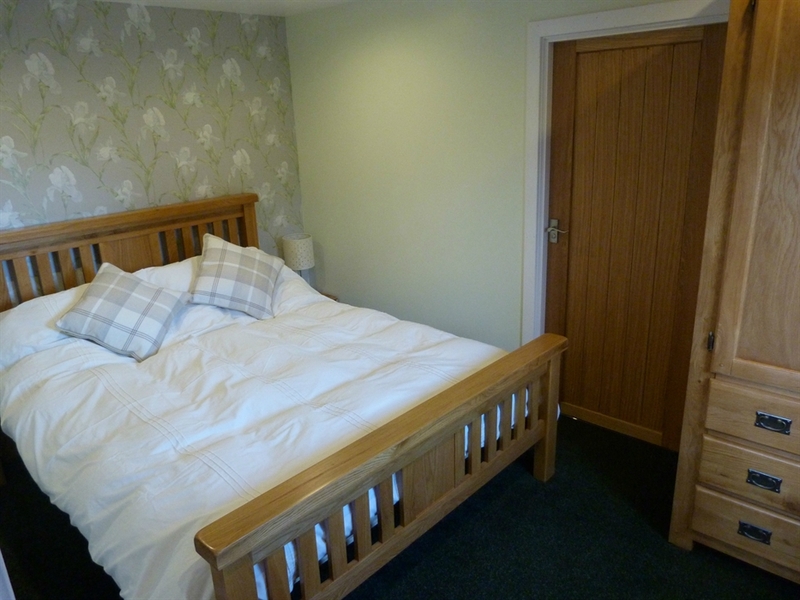 At the rear of the cottage is a double bedroom which has a king size bed and an en-suite shower room with walk in shower. Outside there is a private garden/seating area with picnic bench and washing line. Bookings are Saturday to Saturday, with short breaks available from September to March - please ask for further details. Bed linen, towels, electricity and oil central heating are all included and a wifi connection is also available free of charge. Minimorn is totally non-smoking but guests are welcome to use the garden area in which to smoke. Dogs are more than welcome and our own black labrador, Brodie, will be happy to meet and greet any 4-legged friends; please advise at the time of booking if you intend to bring your dog, just so that we are aware. No extra fees are chargeable.